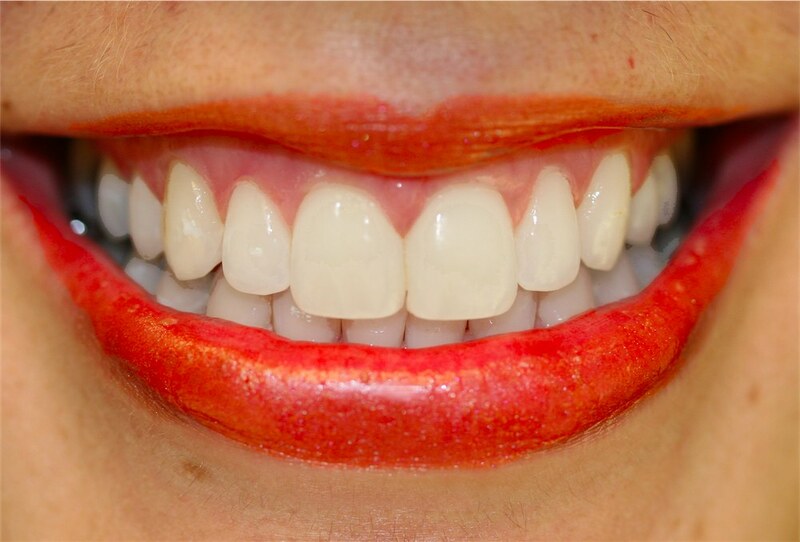 Cosmetic Dental Bonding with tooth colored material is a potential way to give you a new smile. You may be considering the enhancing of your smile, but you may have concerns about the more extensive procedures and their cost. Porcelain veneers, porcelain crowns, and crowns on dental implants are the most extensive and expensive of the cosmetic dental procedures. For a person with these concerns, Cosmetic Dental Bonding is the perfect solution! Chipped, cracked, discolored or teeth with spaces and gaps can be embarrassing and can affect your self-esteem and confidence. Inexpensive and conservative, bonding uses a tooth-colored composite material to restore teeth and enhance smiles. One of the most common procedures that we do in our office with Cosmetic Dental Bonding is the closure of spaces between teeth, called diastamas. The closure of diastamas is most commonly requested for a space between the two upper central front teeth as shown in the above after photo. The tooth-colored composite is placed on the tooth, then shaped and molded to achieve the desired results, including: tooth whitening, closing spaces between teeth, making teeth appear straighter and repairing chips and cracks. The material is then hardened and polished, creating a natural appearance. Although Cosmetic Dental Bonding is an exceptionally good technique to close diastamas (spaces between the teeth) between the upper central anterior teeth, it can be used to close spaces between any teeth. We have many patients that opt to have cosmetic bonding on their front teeth because this is a less expensive procedure than using either porcelain veneers or porcelain crowns. In a few cases, we have constructed an extreme makeover of the smile entirely with Cosmetic Dental Bonding with beautiful results and at a lower cost to the patient. For additional information on Cosmetic Dental procedures visit the web site of Bellevue, Washington Cosmetic Dentists, Dr Cynthia Pauley and Dr Patricia Pauley.